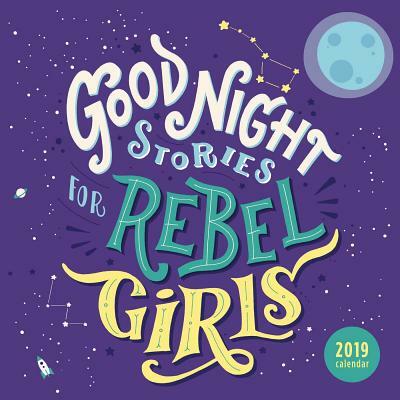 The Good Night Stories for Rebel Girls 2019 Wall Calendar features stunning portraits of thirteen incredible women who have helped change the world. Illustrated by female artists from around the globe, the calendar captures the individual spirits of authors, scientists, activists, artists, athletes, and other heroic women—both past and present—who have pushed boundaries to expand options and move the world toward a place without limitations based on gender, race, or anything else that sets someone apart. The calendar is based on the self-published book project Good Night Stories for Rebel Girls that Elena Favilli and Francesca Cavallo of Timbuktu Labs launched on Kickstarter after being told by traditional investors their idea was “nice but too small.” The project raised more than $1 million on Kickstarter, set the crowd-funding record for most-funded original book, and became a New York Times best seller.